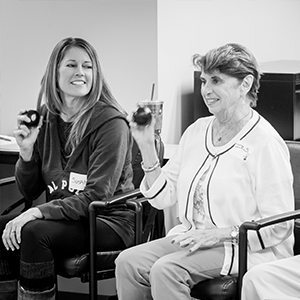 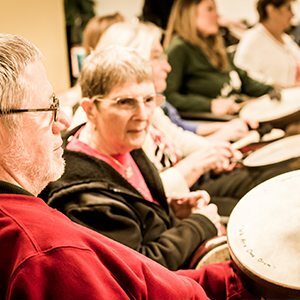 Our board-certified music therapists cultivate a safe, comforting, and engaging environment for older adults with physical, psychological, social/emotional, and cognitive needs to maintain skills and enhance quality of life. 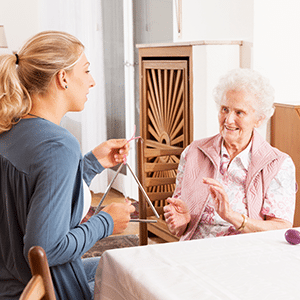 MusicWorx music therapists frequently engage clients through singing and humming, dancing, songwriting and lyric discussion, and interactive music making to promote memory recall and expression. 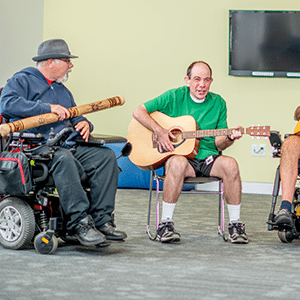 Music therapy sessions can be structured to best fit the needs of each client, family, and facility, and agency.